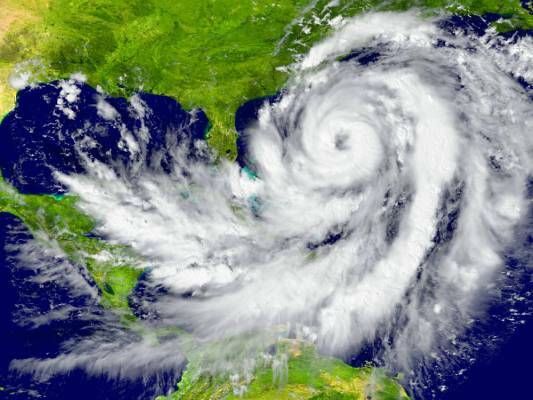 / Hurricane Season is Here: Are You Ready? Here we are, a month into 2018 hurricane season, and we have already seen storm activity. If 2018 is anything like 2017, we should brace ourselves. It is hard to imagine that this season could be worse than last season, which was unprecedented in the massive destruction it left behind. There were 17 named storms, 10 consecutive hurricanes and six major hurricanes. Maria and Irma both reached Category 5 status quickly, while Jose fell short but rated a still very destructive Category 4 level. According to comments filed with the FCC earlier this year, Wireless Infrastructure Association member companies withstood the 2017 hurricane season with little lasting damage to wireless infrastructure, but not all companies were so well prepared. While a significant number of people were impacted by the loss of wireless service during and immediately following the hurricanes, network redundancies largely ensured that outages in the U.S. were isolated and service was restored quickly in affected areas. According to the FCC’s outage data in the U.S. and Puerto Rico, during Hurricane Harvey and Hurricane Irma, virtually all wireless service was restored to the affected disaster areas within one week. However, other nations in the Caribbean Basin experienced additional challenges in service restoration, and service disruptions persist in some of those areas. Unfortunately, it is human nature to be overly cautious and to plan extremely well only when something bad has just happened. Usually, as time goes by, and we haven’t been struck by disaster for a while, we tend to get sloppier in our planning and eventually could get caught off-guard. The telecom industry is no different. Telecom managers often face the dilemma of whether to invest more money to build towers that can withstand a Category 4 or 5 hurricane, or spend substantially less money and build for a more “common” tower that can withstand a Category 2 or 3 hurricane. In fact, a tower built for a Category 5 can be about 50 percent heavier (hence substantially more expensive) than a tower built to the same specifications and weight load, but for a Category 2 wind speed. Risk management is not easy and it comes at a cost: it’s either money (for sure and now) or damage (maybe and in the future). Proper network maintenance is a little bit like going to the doctor: you want to do it when you still have time to catch a problem and solve it. Going too late, or not at all, can lead to undesirable and sometimes fatal results. — Yearly visual inspection of all towers and proper manufacturer-recommended inspection and maintenance every two years (including tower wash, paint scrape and refresh, bolt tightening and non-functional or damaged accessories replacement). — Regular structural analysis evaluation and weight load check-up to ensure tower is loaded at designed parameters. If the tower is knowingly overloaded, a tower reinforcement project should take place immediately to guarantee tower structural integrity is at desired load. — Document tower assets and maintenance records and tasks in a centralized database, easily accessible companywide and from which asset compliance can be certified (this is important for insurance records). — Assess the value and location of all telecom assets. The price tag for uninsured losses from Hurricane Irma in the Caribbean were estimated at between $7 billion and $15 billion, and total losses in damages from both hurricanes was about $100 billion. FEMA reported that 60 percent of insurance claims for hurricanes Maria and Irma haven’t been paid for lack of asset documentation on the operator side. It is crucial that operators establish a comprehensive asset lifecycle program not only to protect their investment but to ensure quicker emergency recovery response. — Operational and survival wind speeds that deployed towers were designed for. It is quite common that towers purchased at different times and from different vendors have different design parameters. Ideally, all towers should be able to withstand the same wind speed, which should be higher than the highest wind historically recorded in that geographical location. By knowing what they have, operators are better prepared for what they are facing. — Asset maintenance status and how prepared the network is to face severe weather/hurricane conditions. Properly assessing risk exposures beforehand will result in better preparedness and quicker response after the storm. — Any equipment and antennas located in towers that are at severe risk (due to lack of maintenance, overload or structural reasons) should ideally be removed to prevent damage and increase the chance of the tower resisting the storm. — Having as many COWs (Cell-on-Wheels), power generators and drones as possible available and ready to go, located in different strategic locations to cover key areas and quickly assess damage after the storm. — A location identified for a safe “command center” from which to run the operations once the storm hits. — Determine the number of available technicians to be deployed in the emergency recovery effort. Ideally, there should be one satellite phone per crew. — Print out site information from a centralized asset database (if one is implemented), so that historical site info is quickly available in printed format for quick reference. — Develop internal communication and emergency recovery procedures once the storms hits. — Reach out to vendors and partners to get an inventory of “key equipment” close to threatened areas so that response after the storm hits is immediate. — Emergency recovery teams need to be sent out as soon as possible to assess visual damage and establish prioritized response actions to start getting the network functional. — Cell-on-Wheels and power generators should be placed in key sites that would enable communication throughout affected geographical area. — Drone fly-bys can be performed at inaccessible sites to assess damage to the area, and to the site. — Vendors, partners and operators need to work in conjunction to ensure as much equipment and human resources are ready to go after the storm hits to help expedite emergency recovery efforts. — Use of innovative technology such as the “Loon Balloon” used in Puerto Rico after Hurricane Maria to help AT&T and T-Mobile restore service as quickly as possible, or 3D laser technology to help reconfigure and re-set antennas to original RF design quickly after the storm. Although networks in the U.S. recovered quickly following hurricanes last year, the experience of other Caribbean nations can teach everyone in the wireless industry valuable lessons. About half of mobile network operators in the Caribbean were directly impacted by storms, and some Caribbean operators experienced more than 95-percent damage to infrastructure. The 2017 Atlantic hurricane season sent a clear message that preparedness cannot be taken lightly. For each example of a speedy network restoration and temporary connectivity solutions that helped the effort, there were others of total network destruction and inability to establish connectivity in a reasonable time. It is also a fact that many insurance claims have still not been paid and that substantial resources, both technological and financial, are needed in the region to ensure mobile infrastructure and networks can withstand Category 5 hurricanes, or similarly extreme natural events. Affected operators in several areas of the Caribbean are still working at rebuilding their networks, and should focus on doing it in a more resilient way. Once upon a time, when connectivity was lost, it was only voice that was disrupted. Now, it is about not only voice, but also about data and the multitude of applications we rely on each and every day to stay connected, and in many cases, safe. Leticia Latino-van Splunteren is the CEO of Neptuno USA, an offspring of Neptuno Group, a company with over 45 years of international hands-on experience in the telecom, broadcasting and utilities industries. Besides engineering, manufacturing and installation of towers and the build-to-suit of telecom sites, Neptuno has several patents, developed an enterprise-grade asset-tracking software and uses a revolutionary 3D Tower Mapping that enables the creation of a digital library of the network that is vital in emergency recovery situations. She was recently included in the 2018 Women of M2M list by Connected World Magazine, which is comprised of some of the most powerful women in the technology sector selected because they each brought a unique lens to their respective companies that helped push connected technologies forward.